While at this year's Tokyo Game Show, I got my first hands on with the Wii U. Other Kotaku editors have used the Wii U plenty, but since I didn't go to E3, this was my first. Prior to picking it up for the first time, I really didn't have high expectations for it—nor did I have them for the game I was to play, Tank! Tank! Tank!. Released by Namco Bandai, Tank! Tank! Tank! is a party game based on Namco's popular series of arcade games. It's aimed at kids—Namco is quick to point that out. And that's fine. I have two young kids, and I know they'd really dig Tank! Tank! Tank! What I was surprised about was how much I dug it. Here's why. There's a local multiplayer mode in the game called "My Kong Mode". One player (well, the player with the Wii U GamePad) is a large King Kong type character. The other players are the tanks and use the traditional Wii Remotes. The GamePad player has an overhead map, while the tanks do not. There are multiple tanks and only one Kong. I played both Kong and the tanks. When I was Kong, I'd switch between looking at my screen and looking what the tanks were doing doing their screens. I didn't have a problem looking back and forth—but someone I talked to at the Tokyo Game Show complained that his vision problems made switching back and forth headache inducing. When I switched to playing with a tank with the Wii Remote, it really hit me: I wanted that big overhead map the Kong player had! Like, I wanted to peek—and suddenly not having that crutch made the local multiplayer experience very, very different. Usually when you are playing local multiplayer on a console, you can see everything the other player was doing. I loved how the Wii U totally pulls the carpet out from underneath you. It's a dynamic that often get from board games (sometimes, yes, from handheld games)—that desire to see what your rivals can. 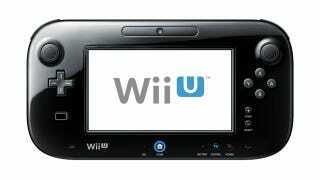 But with the Wii U, local multiplayer can put them on a totally different footing with the Wii U GamePad. It felt like a fresh take on tired multiplayer. Since extra pads are so expensive, I don't see many third party developers making games for two Wii U GamePads. But just throwing one into the mix seemed to create a different local multiplayer experience. It's very much a welcomed one, at that.